Divine Design retains the best professionals in the world of kitchen cabinetry. Therefore, we have an extensive catalog that provides an exceptional value for your money. Our design team specialists will advise you and design your kitchen with you. Also, we consider your budget and tailor it to your needs. Our customers are our biggest asset; customer loyalty is our goal that’s why we firmly believe in fostering client relationships based on trust and honesty. We’re different. We believe that a close relationship with our clients and a professional service conveys confidence and peace of mind. A close, personalized and exclusive service for all your kitchen cabinetry needs. At Divine Design we work only with the most leading cabinet distributors. Our design experts will help you with the choice of the type of cabinet, countertop, knobs, handles, taps, colors, and floors. In all the remodeling projects we incorporate the latest trends and innovations in our designs. Our designs bring functionality, elegance, and character to your kitchen and always at the best price. 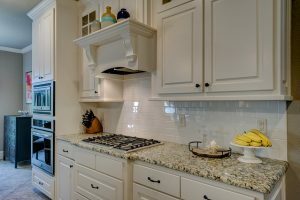 Once we know your style and specifications, we create your design with modules, drawer fronts, doors, cabinets, baseboards, columns, corner cabinets, islands, sinks, faucets, and countertops. The result is a balanced design to create the space of your dreams. A cozy place with the colors, styles, and materials you have selected. Cabinet, appliances, countertops, lighting, accessories (kitchenware, sink, faucet, etc.) and decoration elements combined deliberately to obtain the most optimal and functional layout. Daily life demands a lot from a kitchen. Must have space to cook and do homework at Divine Design we give you just that: quality kitchens that create a fantastic frame for the day to day. Demanding quality control. A kitchen has to look nice, but also be fun to use, all our products, both in kitchens and bathrooms with cabinets, have undergone a series of demanding checks to control quality. We focus every day on optimizing production and processes. The aim is that our prices remain low so that more people can access a fantastic, functional and high-quality cabinet design. Divine Design, quality means more than durability. We are aware that most people have never bought a new kitchen before coming to us. That’s why our skilled kitchen designers are always ready with expert advice on any detail. Take a tour of our website and find inspiration in our extensive collection of kitchens.